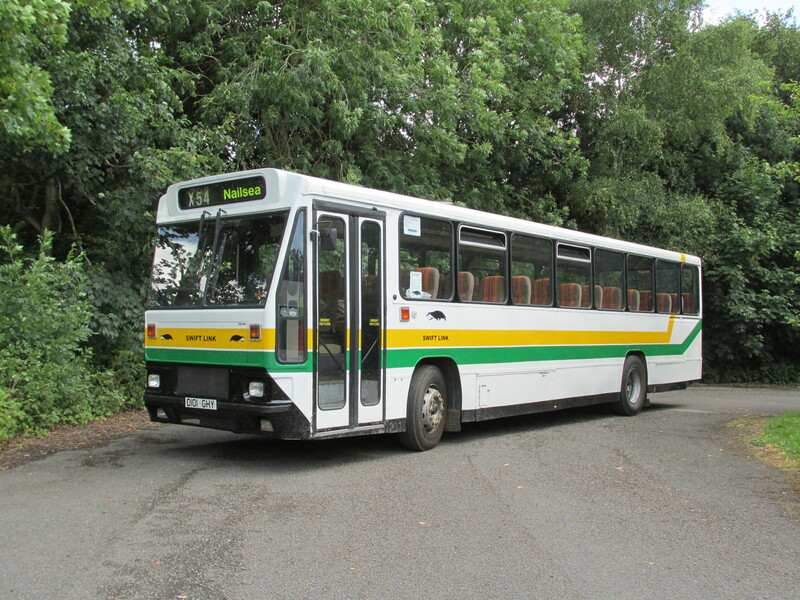 D101GHY was the first vehicle to join North Somerset Coaches “under new ownership” in November 2007. The need had been identified for a back-up vehicle for the two coaches 307WHT and VHY437 then in the fleet, and D101GHY with seat-belted coach seats and strong aluminium bodywork seemed the ideal choice. Shortly after arrival, major deficiencies were found in the saloon flooring after many years of water ingress. 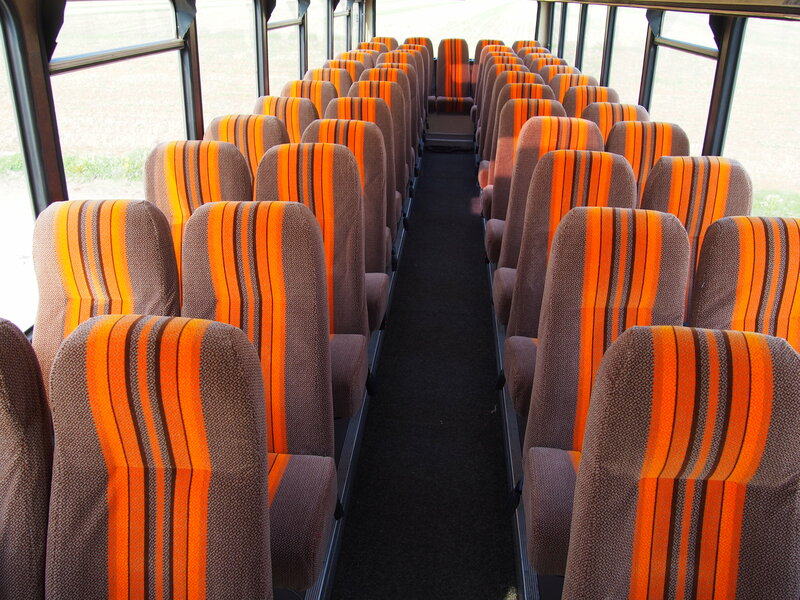 A new floor was fitted during 2008 and the heavily worn seats were re-trimmed with a suitable, but not original, moquette. 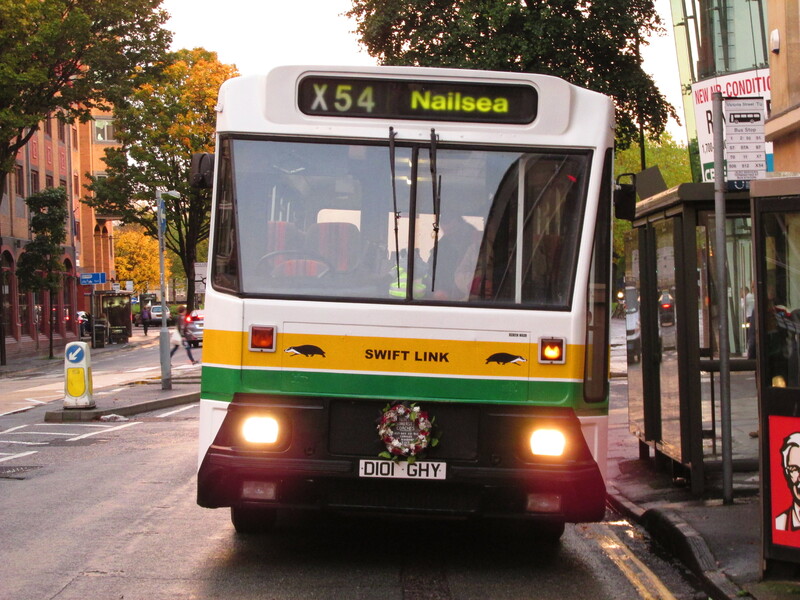 The new white paintwork was adapted into a “what might have been” Swift Link livery based on the early Badgerline coach livery. 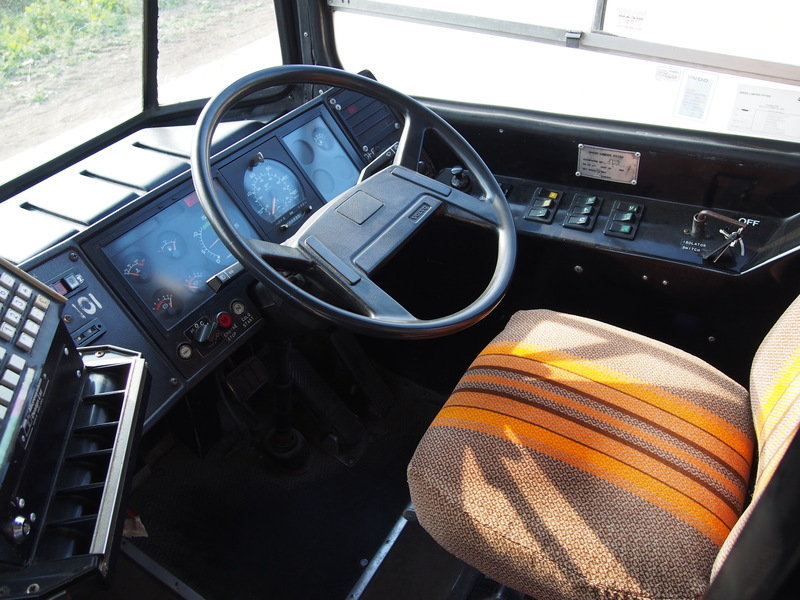 From then on, the bus was a valuable reserve member of the fleet visiting all sorts of unusual and unexpected places as well as frequent summer appearances on local school outings and contracts. It was used on the very first day of North Somerset Coaches’ first bus service in 2008 so was only fitting that it should be used on the last day too – operating the last NSC bus journey, the X54 at 1755 from Union Street in Bristol to Nailsea on Friday 8th November 2013. 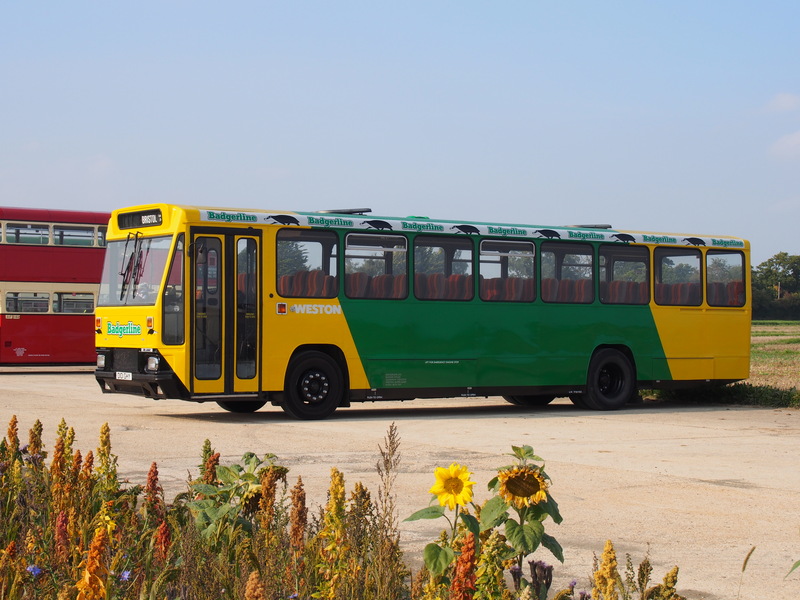 Retirement since then has meant time available to re-panel and repaint the bus back into original Badgerline livery with reflective Badger graphics in time for the 30th anniversary of Badgerline in 2015.